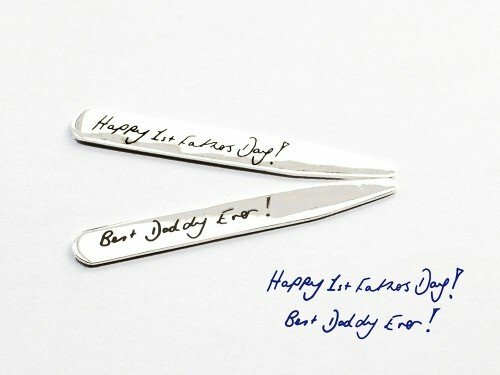 If you are looking for a great personalized gift for dad or granddad, this custom bar handwriting keychain might just be it. The silver rectangular plate is perfect for a personal message in your handwriting or the kid or grandkid's scribble, or both. It is also a great way to remember a lost loved one. 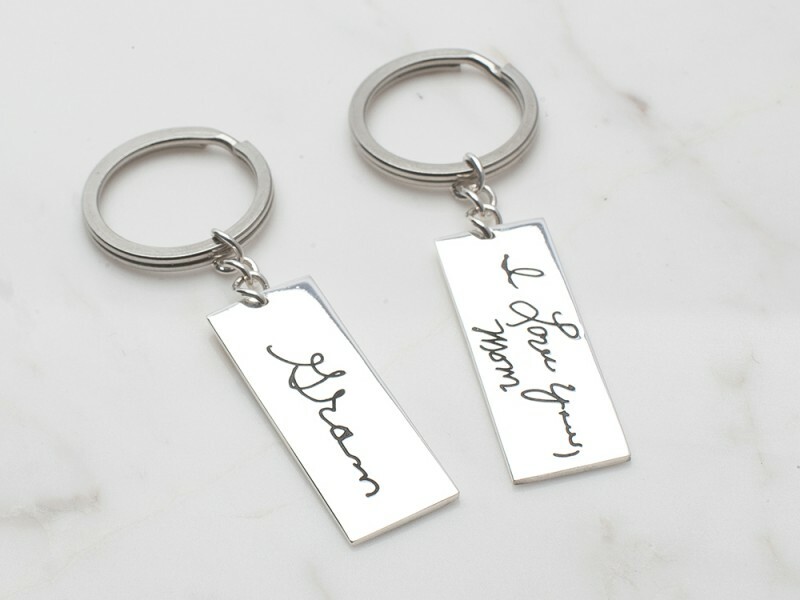 Personalize: This keychain is engravable on either side of the plate, or both. Word limits: 7-10 words/side. - We can pick different words from your loved one's handwriting to form a specific message. Handwriting in any other languages (Arabic, ese etc.) can also be done. Materials The keychain is 100% sterling silver. 3Handwriting image 2 (if any): File uploaded! 4Other image (if any): File uploaded!